As youth volunteers with the Canadian Cancer Society, Rakhshan Kamran of Southwestern Ontario and Azana Hyder of Eastern Ontario, have made a significant impact against cancer within their communities. 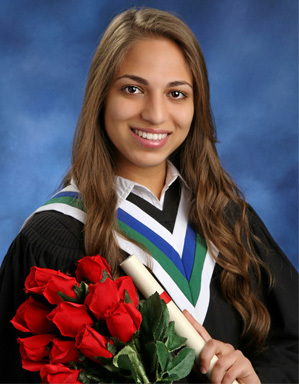 Thanks to the generosity of Gertrude Rellinger, a donor of the Canadian Cancer Society, the two high school graduates have each been awarded $5,000 scholarships for their post-secondary education. The scholarships were created in honour of Rellinger’s late husband, Gertrude Rellinger. After losing his uncle to cancer, Kamran became involved with the Society’s advocacy and prevention work. Within his community and through provincial health groups, Kamran works to educate the public about the dangers of indoor tanning and tobacco use and advocates for better public policy. Most recently, as a Big Tobacco Lies campaign leader, Kamran urged the Ontario government to pass Bill 45: Making Healthier Choices Act. The legislation bans the sale of flavoured tobacco — including menthol — and regulates the sale, use and promotion of e-cigarettes. It also requires menu labelling for restaurants with 20 or more locations. The other scholarship recipient, Hyder, is being recognized for her leadership as chair of the Colonel By Secondary School’s Relay For Life event in Ottawa. Under her watch, the event has raised more than $198,000 in the past two years. It has also engaged more than 700 students and members of the community. Money raised from Relay For Life events help fund life-saving research and the Society’s support programs within local communities across Ontario. 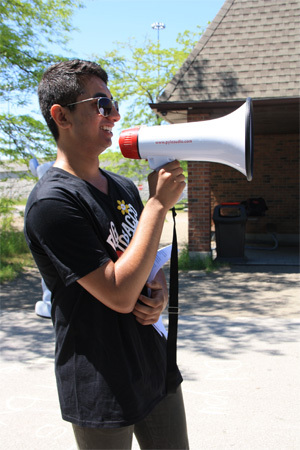 Hyder and Kamran both plan to continue to be youth leaders in their communities. Each year the Canadian Cancer Society receives dozens of applications from youth volunteers who are making a difference in communities across Ontario. Recipients of the Gertrude and LeRoy Rellinger Youth Volunteer Scholarships are selected based on their contributions and commitment to the Society’s mission of eradicating cancer and improving the quality of life for people living with cancer and their families.